We are pleased to announce Dr. Cheryl Logan as our Can Do keynote speaker for our luncheon. 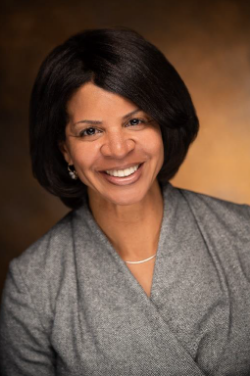 Dr. Logan began her position as superintendent of Omaha Public Schools in July 2018, coming from the School District of Philadelphia, where she served as Chief Academic Officer, responsible for the academic achievement of more than 135,000 students. Logan has spent her career in education working in school districts with large immigrant populations from around the world, including students from significant English language learner populations. “I am honored to be selected as the next leader of the largest school district in Nebraska and I am committed to promoting and sustaining student achievement, equity and access to educational programming for all students,” said Logan. 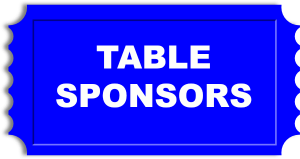 If you are interested becoming a sponsor table, you can purchase directly here, or download the sponsorship form or contact Cindy Oelke at 402-731-6988 or coelke@kidscan.org and show your can do spirit! Individual tickets are $75 each and available for purchase here. Can't make the luncheon? You can support Kids Can by buying raffle tickets! 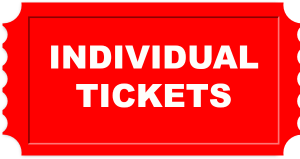 Click this link or ticket for more information. We are excited to announce the recipient of the 2019 Can Do Junior Award is DeAngelo “DJ” Grant. 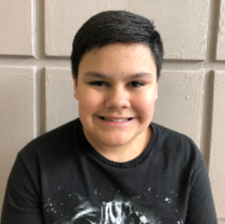 DJ is currently a 6th grader who attends Gateway Elementary and has attended Kids Can since 2010 when he started as a three year old. The Can Do Junior award is sponsored by Bellevue University. As part the award, DJ will receive a 25% scholarship for his first three semesters at Bellevue University. We are proud to announce St. Luke Teen Center as the Can Do Future recipient for 2019. The Center is a collaborative effort of Burke High School, Nebraska Methodist College and St. Luke United Methodist Church. Wells Fargo selected this year's recipient because they help teens discover and pursue their potential while working toward self-sufficiency. “St. 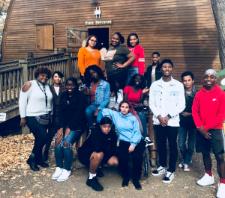 Luke Teen Center provides hope to teens and their families by helping ensure our youth are prepared for the next phase of their lives,” said Kirk Kellner, Wells Fargo region bank president. “Through this award and our longstanding collaboration with Kids Can, we are making an investment in the future of the children in Omaha and strengthening our entire community." We are pleased to announce the recipient of the 2019 Can Do Provider Award is Alexis Varoz-Norval. She is passionate about providing high-quality care and she makes it a priority to go above and beyond expectations. 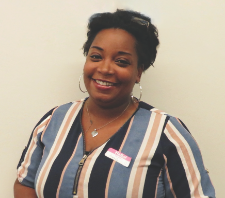 Alexis believes each and every person plays a role in our community, and her role is to provide the children in her care with the opportunity to learn and grow in a happy and healthy environment. 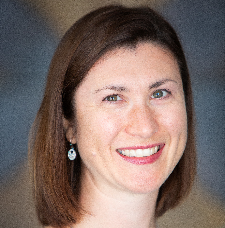 Can Do Hope - Christine E. Cutucache, Ph.D.
We are happy to announce Christine E. Cutucache, Ph.D. as the recipient of the 2019 Can Do Hope Award. 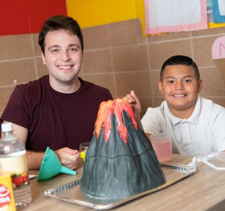 Dr. Cutucache served as the founder of the now Nebraska-wide Nebraska STEM 4U program, which engages K-8 youth in high quality, out-of-school time activities in STEM (science, technology, engineering, math) via problem-based learning. To date, this program has engaged approximately 5,000 youth through sustainable, academic year-based programming. "Union Pacific recognizes the power of the individual as a key component to strengthening our communities when they volunteer their time helping others. Mentoring is an important form of volunteerism that not only helps others obtain the confidence and skills they need to live prosperous lives, it is also a rewarding and life changing experience for the mentor,” stated Frank Sierawski, General Director, Union Pacific . Fill in the fields below to receive our email newsletter.